The secret features of iOS are popping up left and right this week. On Tuesday, we found out that iOS contains a hidden panorama shooting mode for iPhone and iPad cameras. And now, it turns out that iOS 5 also contains an auto-correct keyboard bar concealed within its bowels. The closeted feature, first reported by Mark Gurman at 9to5Mac, was uncovered by Australian hacker (and 9to5Mac researcher) Sonny Dickson. Unlike the panorama camera mode, which requires jailbreaking your phone — a move that enables a slew of inaccessible features, like downloading unauthorized apps, but can void your Apple warranty — the auto-correct feature only requires some fairly simple finagling. 3. Open iBackupBot, find your most recent backup and load it. 6. Save the file, and restore your device from within iBackupBot. 7. 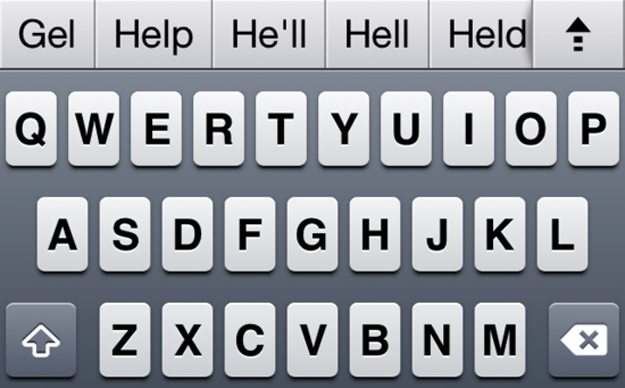 Enjoy your auto-correct keyboard bar goodness! As with the panorama camera mode, there’s likely a good reason this secret feature isn’t simply a feature, so don’t be surprised if this minor code tinkering has some unexpected consequences. (We haven’t yet heard of any issues resulting from performing this change, but that doesn’t mean they don’t exist.) In other words: Enable auto-correct at your own risk. Amazon raises Kindle Fire order to 5 million units in U.S.